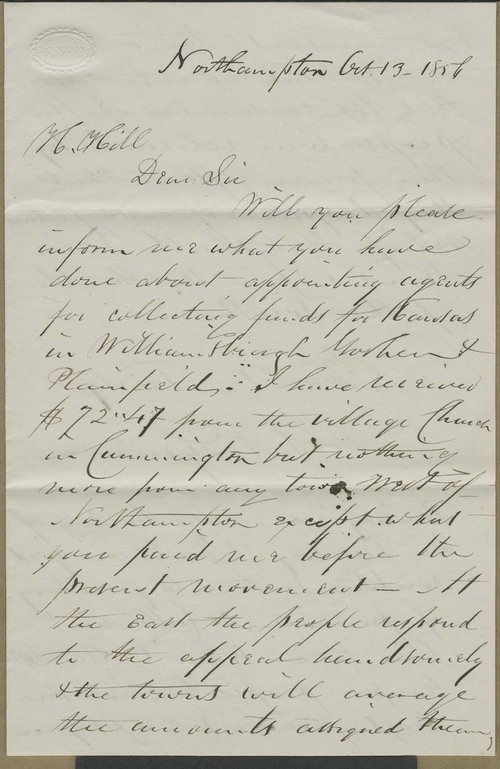 Samuel Lyman wrote from Northampton, Massachusetts, to Hiram Hill, also in Massachusetts, regarding Hill's responsibility to raise money for aid to Kansas. Lyman reminded Hill of the suffering occurring in the Territory. He added in a postscript that although Samuel Pomeroy had recently delivered provisions to people in KT, they were only enough to last a few days.